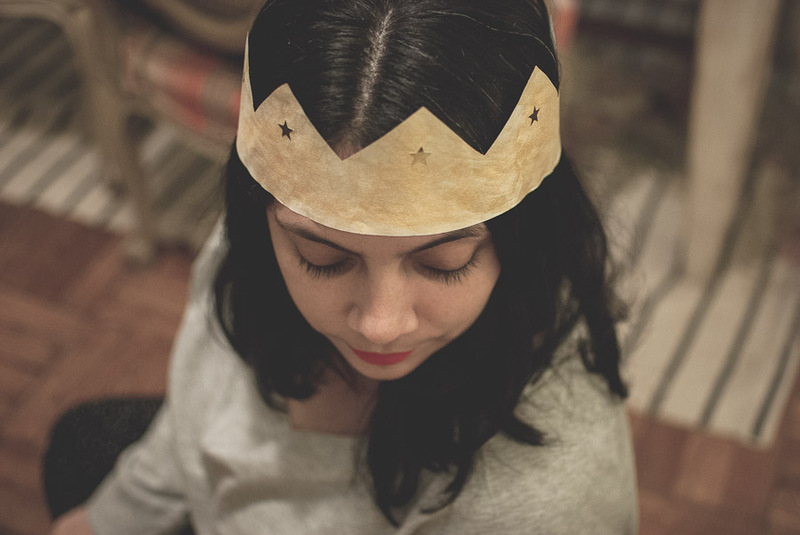 I mentioned yesterday that I can’t think of anything more fun than wearing paper crowns on Christmas. Last year I cut out colorful tissue paper crowns to go in my homemade Christmas crackers. 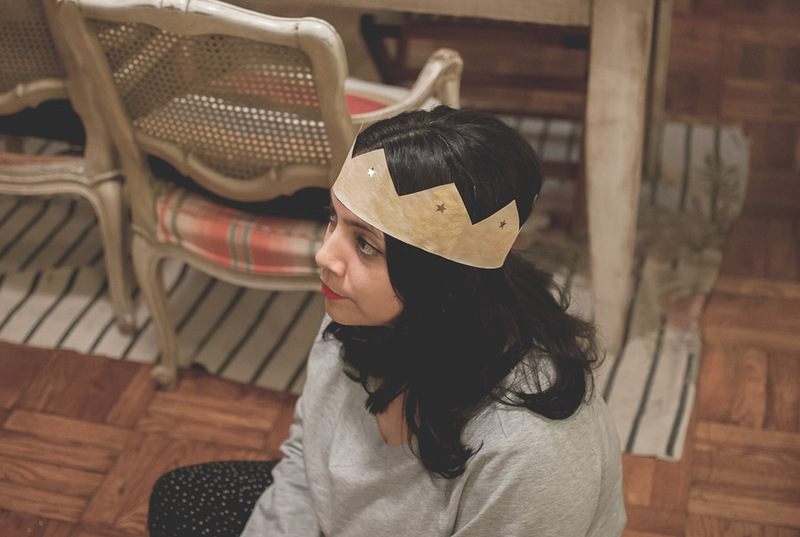 We hosted family and a friend for the holidays last December, and paper crowns on every head made for a festive Christmas dinner. 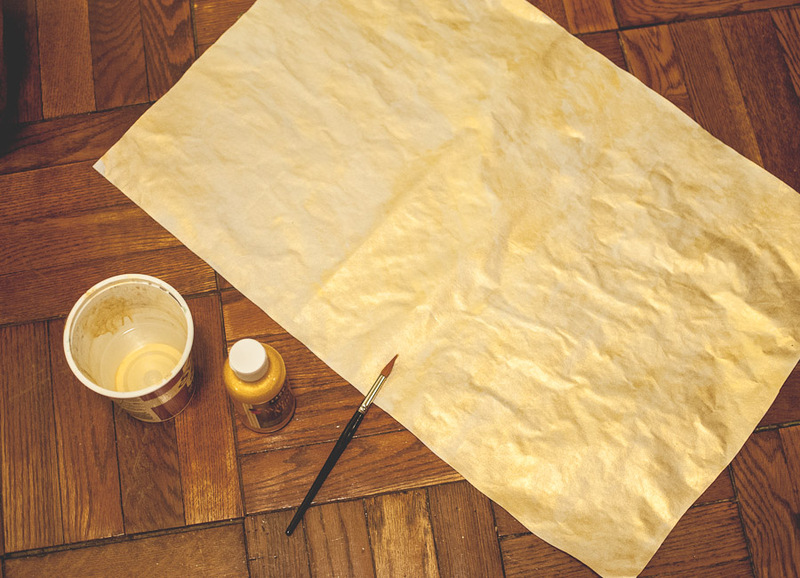 This year, I went a little fancier and used gold watercolor paint on a large piece of rice paper. 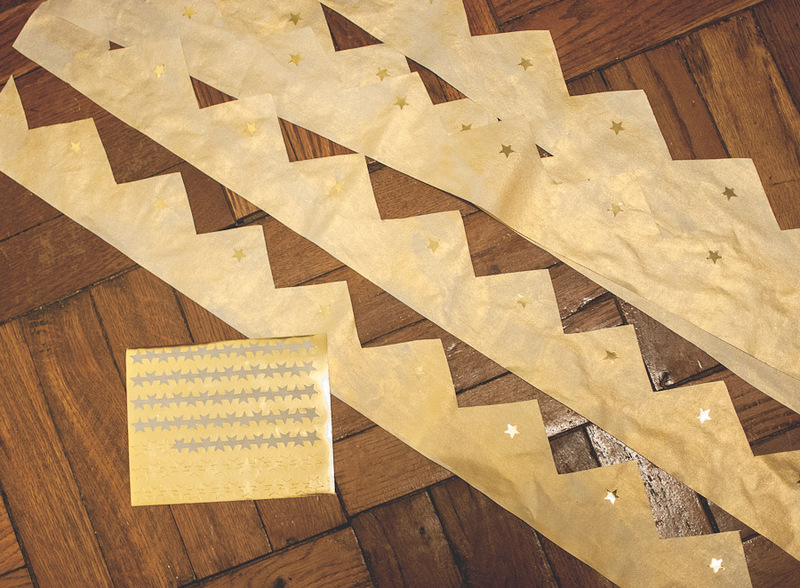 The 21 x 18 inch sheet cut down perfectly into eight crowns, each of which got embellished with little golden star stickers. The paper crowns are now all tucked away in Christmas crackers, which we plan to bring over as a gift to the friends who are generously hosting us on Christmas day.